Now that Jessica Biel has passed on playing Wonder Woman, the Justice League production is facing another problem. Nobody wants to play the Justice League version of Batman, because nobody wants to compete with Christian Bale. Very interesting and I see can see his point when it comes to casting a known actor or star. Why would they want to “compete” with Christian Bale? And on the other hand, perhaps they don’t consider it to be “cool,” professionally speaking. And fear not, kids. Christian Bale isn’t running away or leaving. He’s playing Batman again in next summer’s Batman Begins sequel, The Dark Knight, and coming back for another after that. Justice League will have a different Batman. And I think that’s for the best. Because, as I’ve said before, I can’t see Christian Bale’s realistic Batman hopping in a rocket ship to go fight space monsters with Green Lantern and The Flash. It’s like all the different animated shows Warner Bros. does. There’s an older Batman in the Justice League Unlimited cartoons, and then there’s a much younger Batman in The Batman, which is geared to a younger audience and has its own versions of Superman and all the other Justice League characters. So even though Batman is in both cartoons, and even though he’s Batman in both cartoons, it’s not the same Batman. It’s going to be the same principle with the Justice League movies and the Christian Bale franchise — each will have its own Batman, it’ll just be a different Batman. Which is why I think they need to go a little older than Christian Bale for the Batman in Justice League. 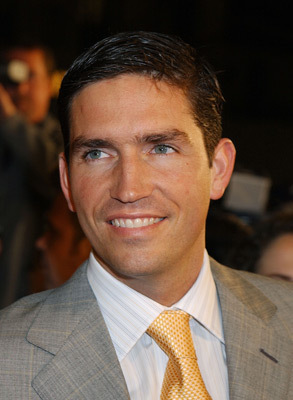 I think it needs to be Jim Caviezel, but nobody asked me, so, there you go. I wanted Caviezel to play Batman the second I saw The Count of Monte Cristo. Once Christian Bale got the part I couldn’t imagine anyone else but Bale, but now that there’s going to be a separate Batman, Jim’s back on deck in the Batman hemisphere of my brain (which currently takes up about 89% of capacity, with another 10.3% taken up by thoughts of burgers, and then the last 0.7% for everything else). For a long time after Bale got Batman I wanted Caviezel to play Superman (and still do), but they’ve got to nail the Batman casting in this Justice League movie and I trust Caviezel to do the job. Regardless of who gets the part, I just hope we find out soon so I can stop being nervous about it.